The Digital Experts Mastermind & Retreat is hosted annually by the founders of DEA at a 5-star, exotic resort. 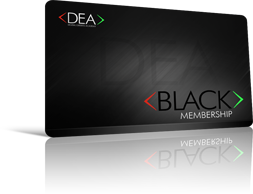 The BLACK Membership puts you within 1-2 degrees of separation from the who’s who in the digital marketing world. Included is a once per year mastermind retreat hosted by the founders in an exclusive, exotic, 5-star destination. Members also have the opportunity to potentially partner and joint venture with the DEA effectively leveraging the power of the DEA’s vast distribution and affiliate publishing network. Stay tuned! BLACK Membership details coming soon. Important Only members that have paid in full for their DEA Membership can register for the events. Alumni pricing is available to members who have already attended an event. Please contact us for pricing.